The largest country in the Middle East, Saudi Arabia is where gold adorns palaces and every year, millions of pilgrims make their sacred journey to visit. Saudi Arabia has a population of 31 million residents, and is abound with desert treasures and beauty. Attractions include the Grand Mosque (Mecca), Masjid an-Nabi (Medina) and Kingdom Centre Tower (Riyadh). Get ready for an unforgettable experience, because cheap flights to Saudi Arabia are available for a limited period of time! Saudi Arabia’s capital city, Riyadh, is home to King Khalid International Airport (RUH), located on a 25-minute drive from the city centre. Arab culture is deep-rooted and rich in history and ancient customs. 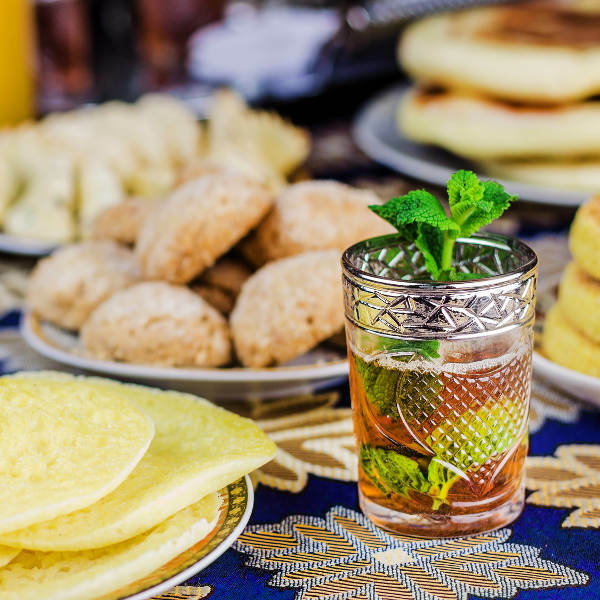 Sip a cup of mint tea on a street corner, trek across the dessert in a 4x4, or engage in some storytelling with the locals. Every year, millions travel from across the globe to visit the sacred sites and complete their religious pilgrimage across the cities of Makkah and Medina. Saudi Arabia is shopper’s paradise, and across the markets and high-end sores is where you’ll find everything from simple trinkets to designer wear. Make sure to practise your bartering skills too! Saudi Arabia is situated on the Arabian Peninsula, and is characterized by its desert climate and long, hot summers. The best time to visit would be between November and April, in the winter seasons of the year. Temperatures range between 15°C and 25°C during this time. Summer in Saudi Arabia is known to be extremely hot, with average day time temperatures averaging around 40°C, and more! Summer falls between May and September. 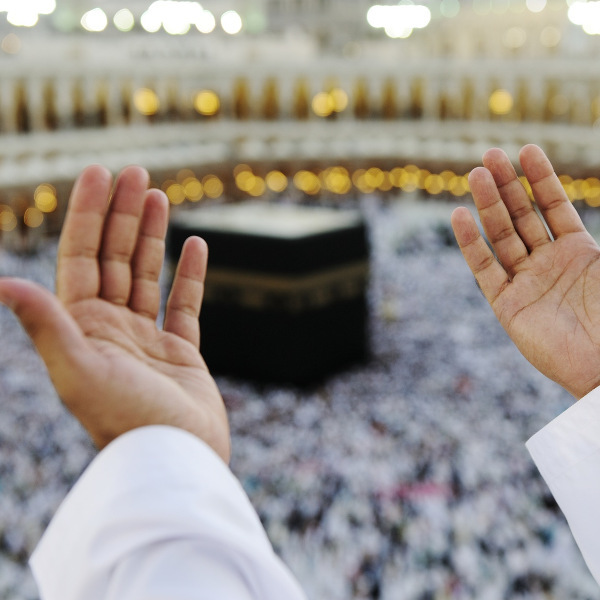 The cities of Makkah and Medina are crowded all year, especially during the Islamic month of Ramadhan and the pilgrimage period, known as Hajj. The dates of these events change yearly so it would be advisable to check for them ahead of time, as the rates of flights and accommodation increase during this time. The Kingdom of Saudi Arabia is one of the most technologically advanced countries in the Middle East, with grand cities and intricate designs and architecture. Also, more than 90% of this vast land is desert, making it a surreal destination to visit, with hidden oases to be found. The Kingdom Centre in Riyadh is the tallest building in Saudi Arabia and stands out against the night sky. It not only dwarfs its neighbouring buildings but also offers visitors a one-of-a-kind shopping experience. There are plenty of internationally known stores, and fine dining experiences. The holy cities of Makkah and Medina are pilgrimage sites to all of the Islamic faith, as every year millions from across the world descend upon its streets and sacred landmarks. The capital city of Riyadh is all modern and full of ornately designed buildings, the headquarters and heart of the business tycoons of this rich country. In the mountainous region of the eastern slopes is where you will find the valley oasis of Taif. This popular holiday destination is a relief from the summer’s unbearable heat, and the Sarawaat Mountains make a wonderful day of hiking. On the coast of the Red Sea, in the city of Jeddah is where you’ll find a masterfully-built piece of architecture, the Floating Mosque. Adorned with gold, it’s a popular stop for any visitor to the city. Compare several airlines, and book your cheap flights to Saudi Arabia online at Travelstart! The rules of conduct are taken very seriously in Saudi Arabia, and there is very little crime that is tolerated in the country. There are also very strict Islamic laws in place, and so things such as drinking alcohol, practicing other religions, non-modest dressing, public displays of affection and various other acts are considered illegal in public. All women are required to wear loose, long dresses out in public. Due to international conflict, it is advised to stay as far away from the Saudi-Yemen border as possible. It is always important to go for a general health check-up before a trip overseas. It is best to do this 4-6 weeks before your trip. For your trip to Saudi Arabia, it is strongly recommended to get vaccinations for the following: hepatitis A and typhoid.